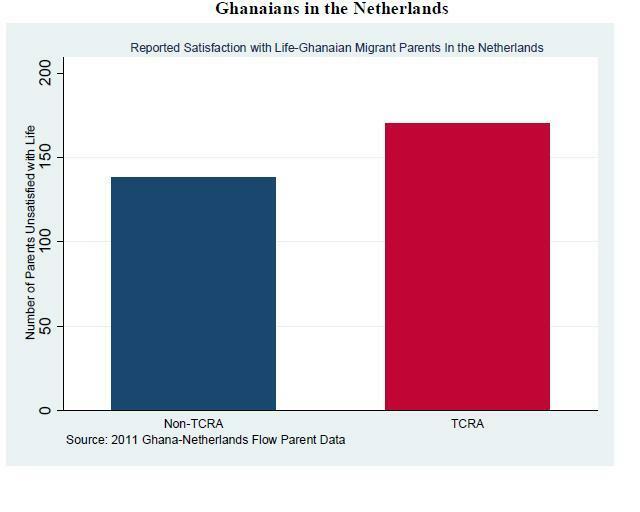 Our results show that Ghanaian migrant parents who live without their children in the Netherlands (red column) are more unsatisfied with life than those Ghanaian migrant parents who live with their children (dark blue column). 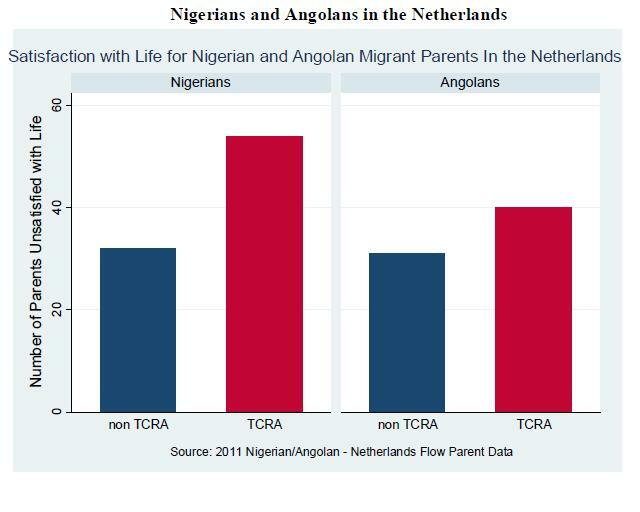 The same difference can be seen in both Nigerian and Angolan migrant parents living in the Netherlands. Please click on image(s) to enlarge.